Before you read further, please note that there are spoilers. If you have yet to read the novel, you may want to stop reading this post. Now. Just sayin’! 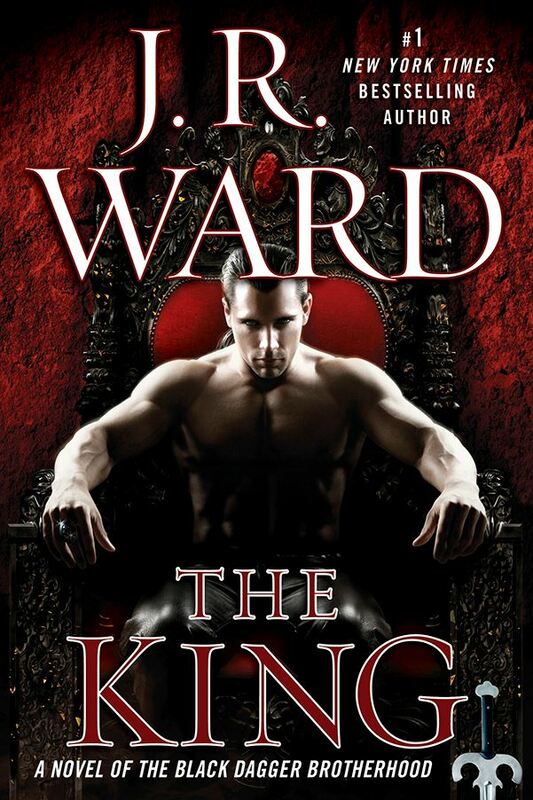 For me The King was good but not my favorite BDB book. I can’t believe that I’m admitting this, but I actually skimmed some storylines to get to others. There was A LOT going on in this book. The ‘Brother’ part of the book was very focused on Wrath and Beth. John Matthew was mentioned a fair amount, but if you were hoping to catch up on any of the others – you will be disappointed. I did like learning more about Trez and iAm. The Shadows intrigue me. iAm cracked me up with Boo, oops I mean Goddamn Cat. Those parts were hilarious. Yeah. Sure. He totally does NOT like that cat. I was not happy how things were left between Trez and Selena. I was proud of the Chosen for going after what she wanted. The way Trez treated her, though, left a lot to be desired. If he wants to be with her, he has lots of making up to do! For some reason, I found myself pulling for Assail in this one. I loved how determined (and ruthless) he was to rescue Sola. When the twins brought her grandmother to his mansion, I was cracking up – those two hardened guys bowing to this tiny female! That was another story line that I wasn’t happy about how it ended. Assail and Sola better have a HEA coming. Her being in Florida is way too far away from him. If she is going clean, he needs to do the same. The Lessers played a very minor role in this book as well. It seemed like they (and the Omega) should have a larger part. Maybe that’s just me and BDB tradition. Got to have the Brothers prowling around Caldwell – on Trade Street – getting rid of the baby powder stink! Beth and the whole pregnancy thing was very interesting and kept me reading. I had to know what happened with her young. Wrath’s turn around once he found out she was pregnant was amazing! Talk about some conflict! The birthing also had me tearing up. I can’t imagine writing that scene. Some parts of the story were filled with way too much “street talk” and “brand dropping.” The King didn’t have the flow of some of her earlier reads. I felt like it was disjointed pieces strung together. Just in places. Also, she seemed to really like the word “alacrity.” Picked up on that one! I’m on the fence with Xcor and Layla. We did see more of them in this novel, but again, their story is unresolved. Xcor shopping was a trip! I always worry about Layla meeting up with him when she’s prego. I doubt he would purposely hurt her, but the other bastards – not so much. There were a lot of flashbacks to Wrath’s parents. For me, they were interesting in the beginning. Then I wasn’t as concerned. I would rather have had more about the other Brothers or Saxton. Now there’s a dedicated, dapper male who deserves a HEA. Despite the reservations I had with this book, I’m still a diehard BDB fan and will be eagerly awaiting the book on the Shadows. All hail King Wrath! I rated it the same, and like you thought too many story lines. I missed Lassiter… Would have liked to have seen more of him, and not just as comic relief. He could be such a complex, intriguing character though she never gets too in-depth with him. The Elvis-pastor scene was funny, but I agree – I would have liked for him to have a larger role in the book.